The Union Bank was built in 1841 and served as a planter's bank during Florida's territorial period. From 1869-1874, it housed the National Freedmen's Savings and Trust Company. The facility is Florida's oldest surviving bank, and is on the National Register of Historic Places. It presently serves as the home of the Black Archives' Capitol Complex satellite facility. Over the past twenty-five years, public demands for the center’s numerous services constantly grew. Equally impressive is the fact that members of the general public continue to donate all kinds of historical material. As a result, the Black Archives’ Carnegie Library facility became overcrowded. 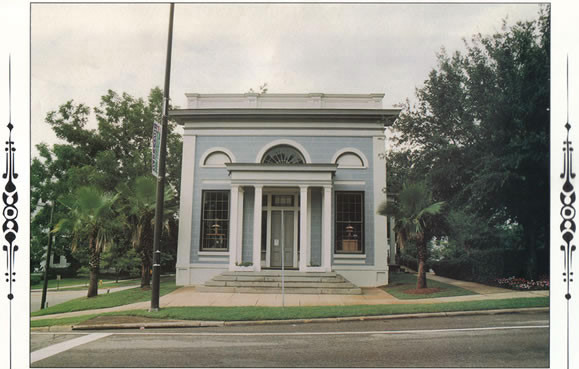 In 1996, in a joint endeavor with the State of Florida, the center opened an extension museum in the historic Union Bank building located in downtown Tallahassee. This extension branch focuses primarily on the African American experience in the State of Florida, and quickly became a popular tour site and education center. As people continued to donate materials, this facility also became overcrowded.